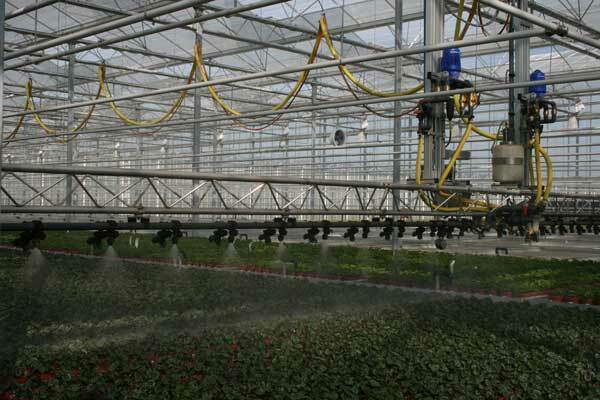 The Irrispray Auto is a fully automatic watering and spraying installation which is being transported from bay to bay. 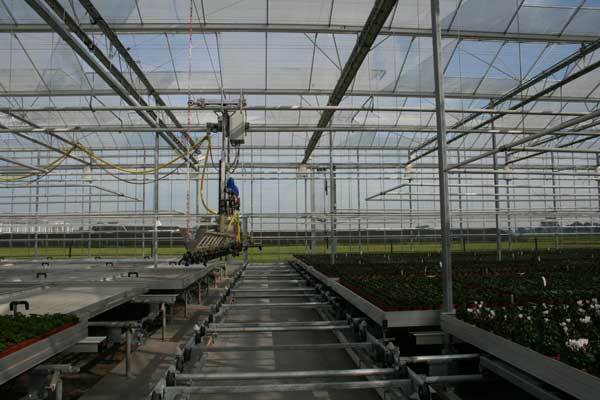 The watering boom uses two rail tubes which will be mounted above the path in your greenhouse. 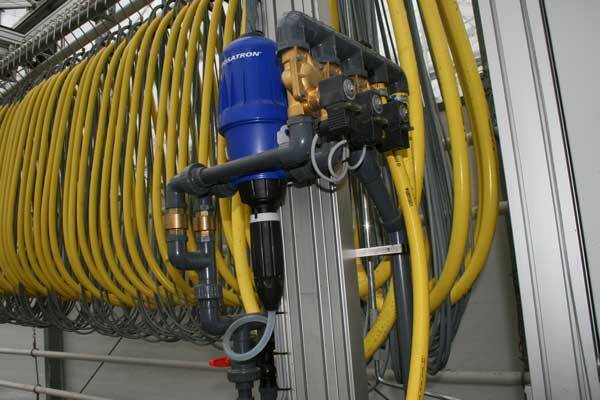 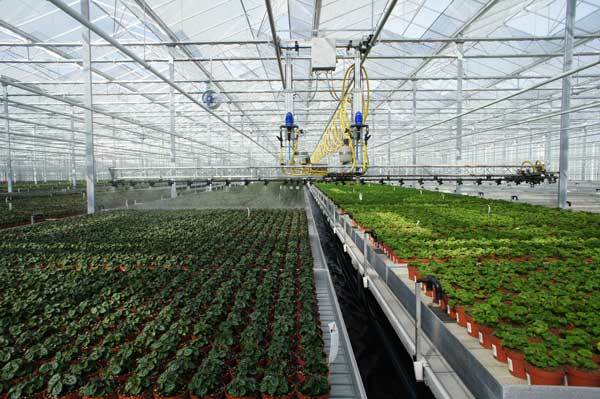 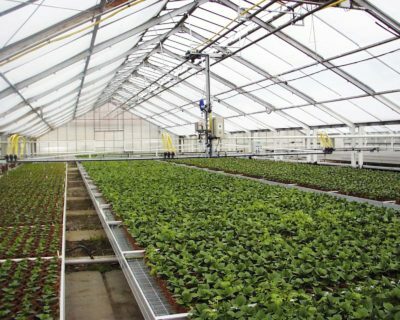 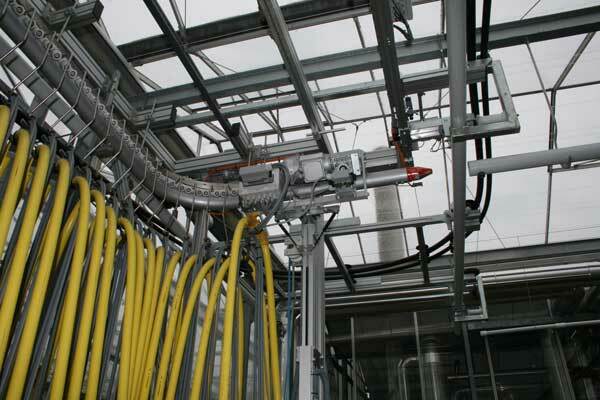 This installation can treat your crop without an operator and is indeed fully automatic. 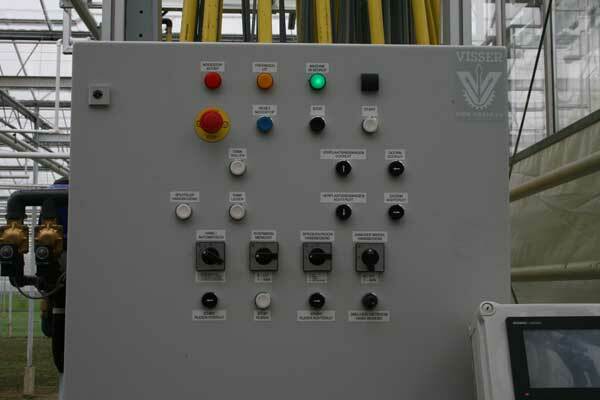 The installation can be controlled from the switchbox on your watering boom or your computer in a different area. 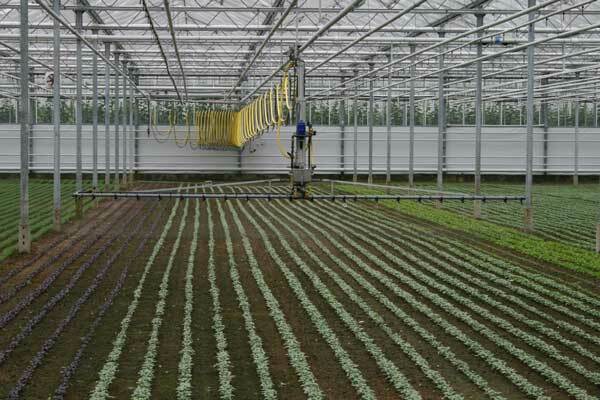 For a care free operation! 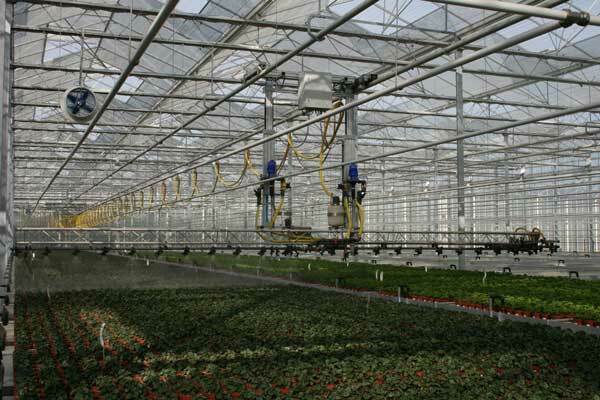 The height of the watering boom above your crop can be controlled. 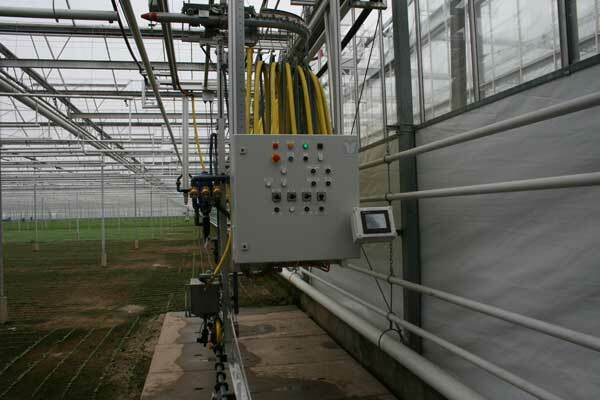 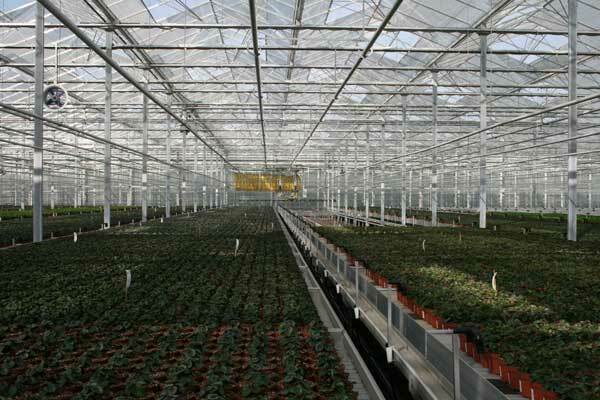 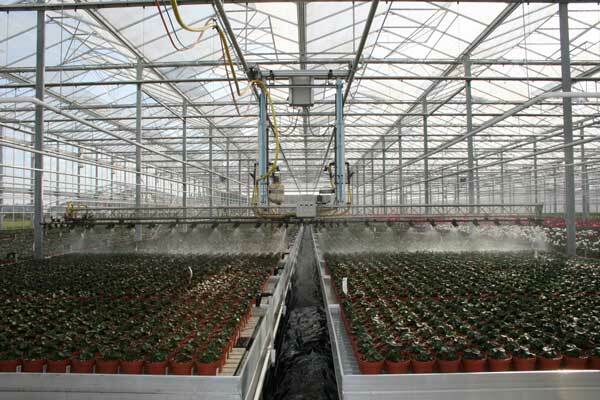 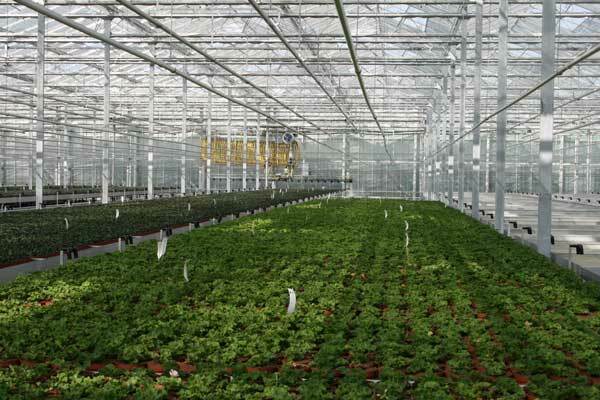 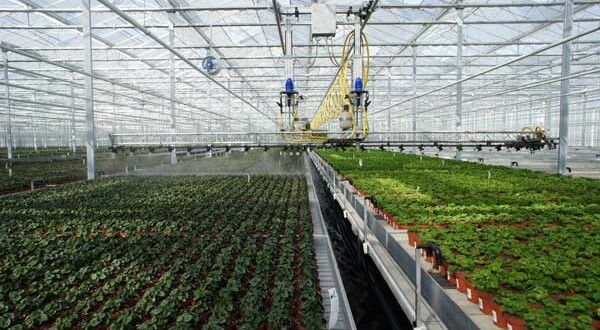 The switch box is mounted on the central station of the system and is provided with a touch screen on which you can programme different programs for spraying and watering different parts of your greenhouse.